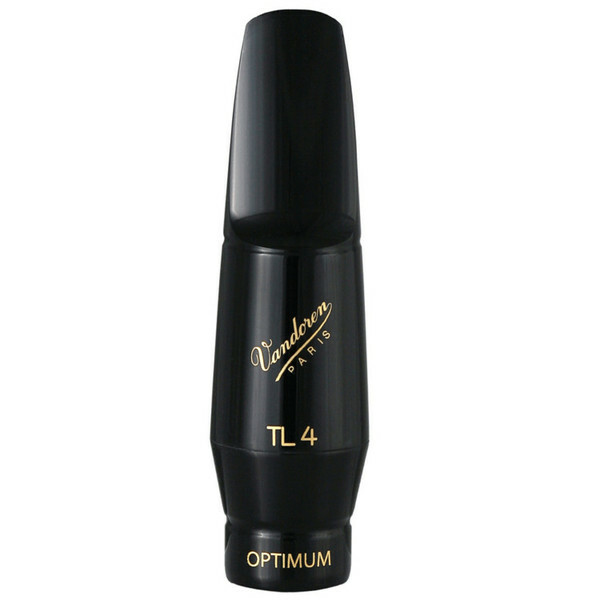 The TL4 Mouthpiece has been designed to give a deep and precise sound to the performer's saxophone. Slightly more open than the TL3, this mouthpiece offers a great amount of flexibility and a superbly rich timbre. This mouthpiece is very much based on the sister mouthpiece, the TL3. The big difference between the two however is that the TL4 has a slightly larger tip opening which in turn makes it easier to blow. It is slightly less restrictive, but still keeps the qualities of the Optimum range of mouthpieces. The TL4 offers a huge amount of flexibility with a small tip opening of 1.95mm wide. As well as this, the medium facing length gives a deeper tone and a vast range. The overall sound from the mouthpiece is vibrant and exciting whilst keeping a well-rounded tone. This is the ultimate classical saxophone mouthpiece.